There’s something magical in every corner of the Cowboy State, and Yellowstone, itself, is perhaps the most incredible place on earth. 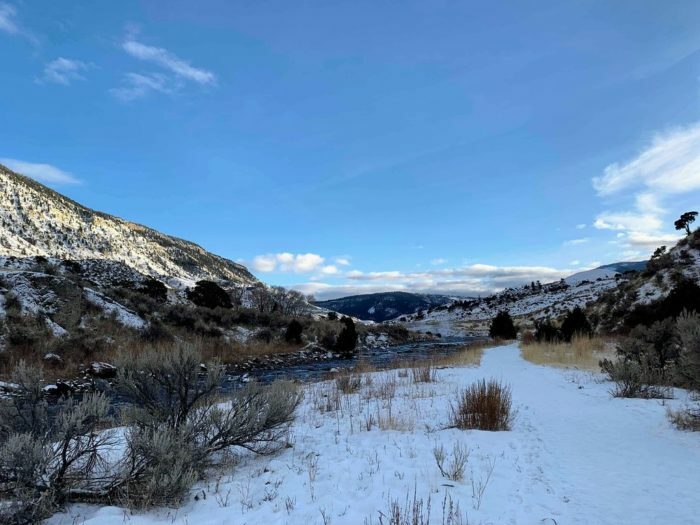 Tucked up way into the northwest corner of the state, on the border of Montana and Wyoming, is a natural hot spring river where you can take a dip even in the dead of winter and warm up. Welcome to Yellowstone’s Boiling River. Yellowstone is home to some magical spots, and one hidden gem is the place to go for a spa-like retreat, even in the dead of winter. 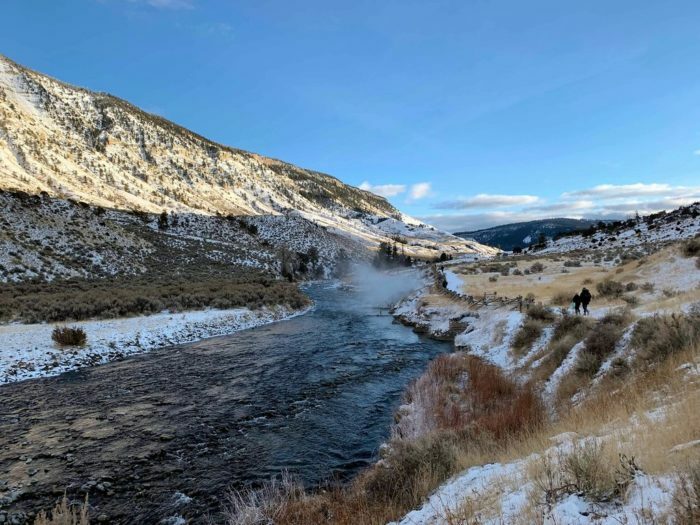 The Gardiner River flows into Yellowstone National Park, and at one point, the water underneath blends together with thermal water, creating a naturally warm spring that's perfect for soaking. 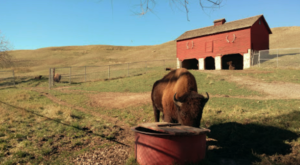 The Boiling River Hot Spring Area is located directly on the border of Wyoming and Montana. 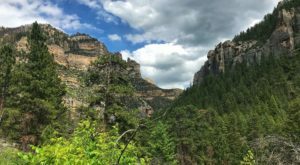 You can get there from any of the park entrances, but the closest ones are the Gardiner, MT entrance, and the Northeast/Beartooth Highway Entrance. 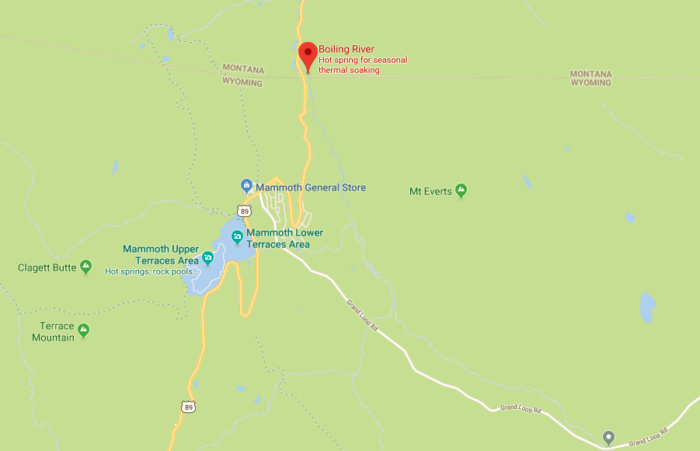 The Boiling River Parking Lot is located just north of Mammoth Hot Springs, off of the North Entrance Road. The Boiling River is a spot where thermal waters blend with cool mountain water, making for warm soaking pools on the side of the river. 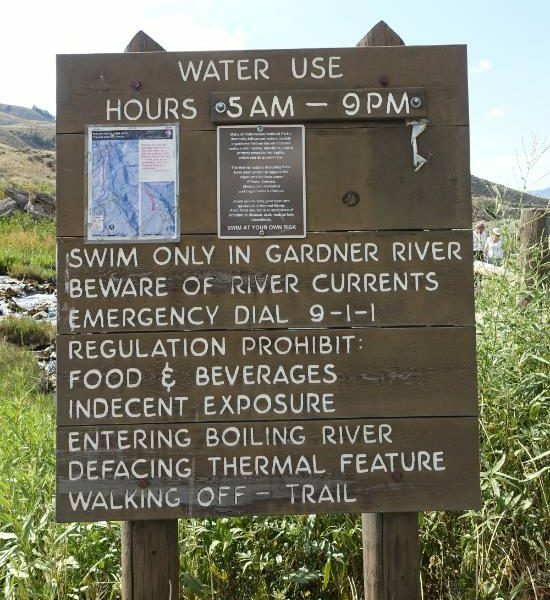 The spot is open for swimming when the river is calm and safe - typically, winter, fall, and early spring. 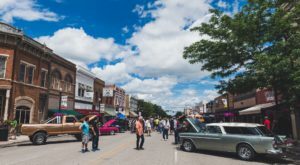 You'll have to have a bathing suit and water shoes, and no alcohol or other food/beverages are permitted. Be sure to keep an eye on younger children and inexperienced swimmers, as the current can be strong. The river is only open for swimming from dawn to dusk. 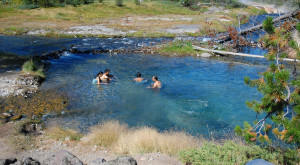 In the winter, dozens of people make the trek down to the Boiling River to warm up. 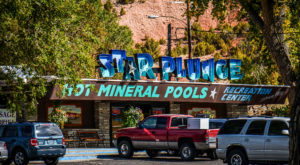 The toasty mineral springs that feed into the river have been directed into wading pools, bordered by man-made rock walls. On the nicest days of spring, the Boiling River serves as a relaxing day hike destination. 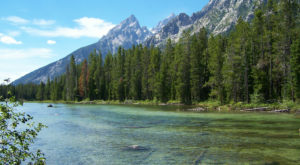 There's nothing like taking a dip in these healing, relaxing waters as a way to reward yourself for getting out and about after a long Wyoming winter. 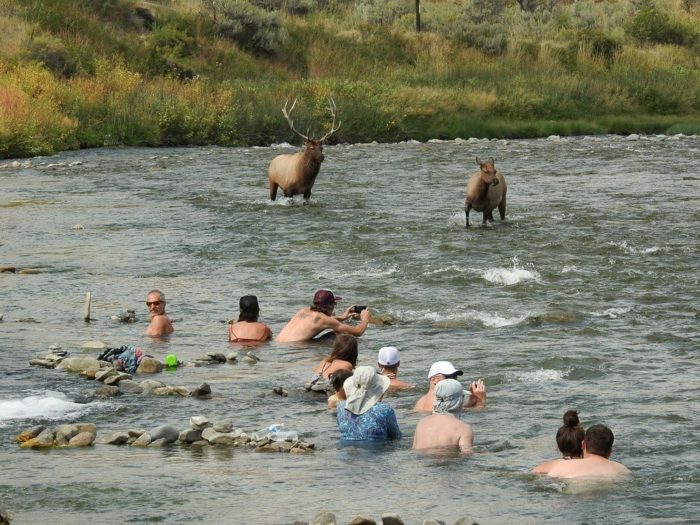 If you're lucky, some of Yellowstone's wildest residents will join you for a pool party! As tempting as it may be to take advantage of a photo opportunity, keep a safe distance from any wildlife that joins you in the river, and stay closer to the edges, where the current is calmer. 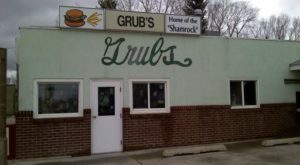 Wyoming is sure home to some stunning treasures! If you don’t want to make the drive up to Yellowstone, you can still find This One Hot Spring Resort In Wyoming That’s Basically Heaven over in Saratoga. 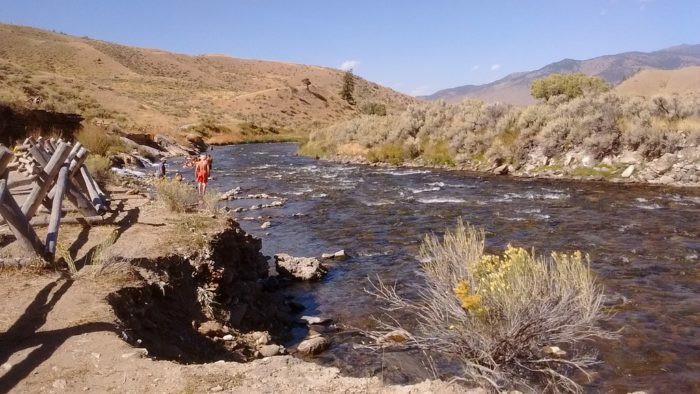 There’s no excuse not to take a dip in a Wyoming hot spring this year!